Safety/Quality Approvals: C series, Pneumatic quick coupler, Type, Milton type, 3/8" body Milton type (USA), truflate type (USA) , Aro type (USA) , Euro-unvepsal type, Euro type, German type, England type, Australis type,, Japan one touch type. 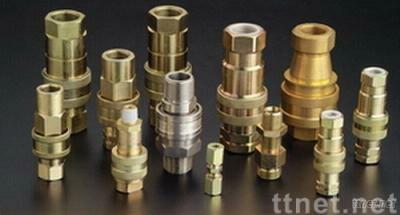 All types have Female coupler, or male coupler, male plug or female plug, plug W/Hose barb, coupler W/Hose barb. Material, brass Marketing Area, Europe, America, Asia, Mideast Packaging, nylon bag +small box +carton or according to the customer's requirement. Payment: T/T Delivery time, within 20 days Transport, by sea or air. type, England type, Australis type,, Japan one touch type. or female plug, plug W/Hose barb, coupler W/Hose barb. Transport, by sea or air. Machinery, Pneumatic Components, Pneumatic Components/n.e.s.